Mark Curry is a medical student working as intern in an inner city hospital. And aside from rendering 36-straight hours on duty and having some strange dreams at times, that somewhat talks about his past life, Mark Curry is after all lives a pretty normal life. He got a girlfriend who loves cat and he's favorite partner when at work is the double giant vanilla mocha latte. 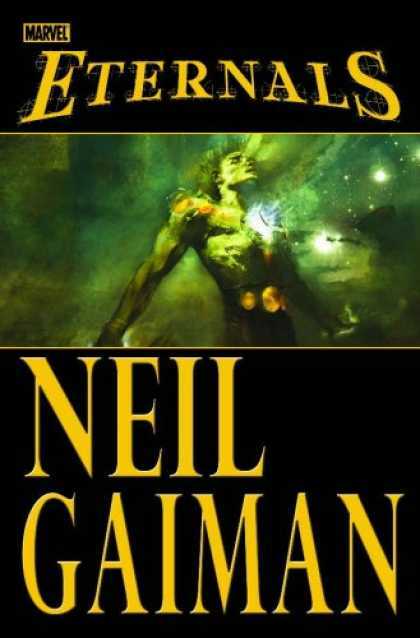 Well, until a charismatic tall blond man named Ike Harris keep following and appearing before him telling stories that he is not human like him and that they are called Eternals, immortal and possesses power beyond any human can imagine. Eternals, was created by "The King" himself, comic superstar, the legend Jack Kirby after returning to Marvel from an expired contract with DC, back in 1975. Kirby was always fascinated with aliens' stories - and his curiosity about the origin of man and his mythologies, what if the aliens were the first inhabitant of the planet and that they were the gods worship by ancient people and after reading Erich von Daniken bestselling book, Chariots of the Gods? He was convinced to do his own alien story. He presented the story at Marvel's House of Ideas. The story would be about aliens visited earth in distant past and influencing ancient cultures including the Mayans. It's about an alien race known as the Celestial who during the early days of life, about one million years ago came to earth to weigh and measures life as it was developing. They experimented on the humanoids and resulted to the creation of Eternal and Deviant. Eternals were given superior genetics, imbrued with cosmic energies that took centuries to master. On the other hand, the Deviant were formed with unstable genetic code which caused them to mutate over the years. Eternals cannot die, they were unkillable and they do not breed, there were only 200 of them that walk the earth but only few were identified. Unlike the Deviant who can breed, and in their quest to dominate the world, resulted to increasing its number with each having a unique genetic code. The Eternal first came out in 1976 and continued for nineteen issues including an annual. But after Kirby's ran of Eternal no one dares to continue the story of this bunch of the most left-out characters in Marvel universe. Perhaps afraid they cannot set the standard of what the King have started or simply not enough reference to the story that it might turned out to be a dull one. 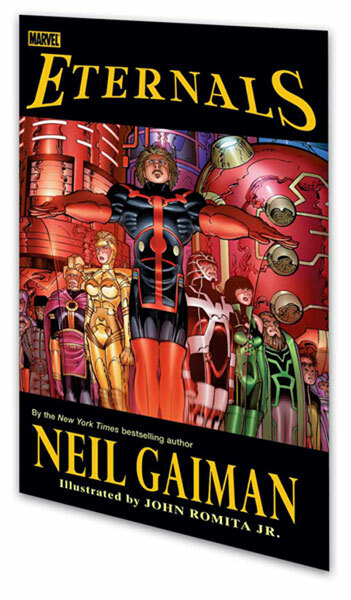 But in 2006 the House of Ideas challenged Neil Gaiman to relieve the glory that was due for the Eternals and Neil accepted it. 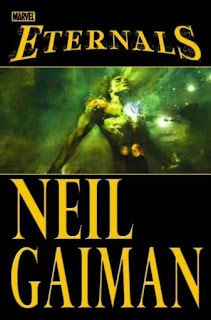 Neil Gaiman's story although modern in its way still conforms to what they called the Kirbyish way of presenting the story. 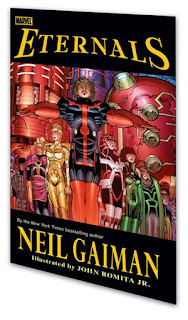 Character driven, a very Neil Gaiman yet it embodies Kirby's vision. It seamlessly manages to integrate the past of the characters. It begins on a personal level being a medical doctor who thinks he's no doubt human is being told by someone who a bit more than human that they're both immortals. Eventually the doctor and the rest of the Eternals start to remember their real past. And in their desire to unfold the mystery of their lost memories they stumble across an even greater danger to Earth. The story is great that even Mama and Papa would recommend this book to their children and not to mention the classic rendition of John Romita, Jr. This one simply one amongst his best creation. How about you have you read this book yet? Oh you should grab your own copy, this is classic, I tell you.